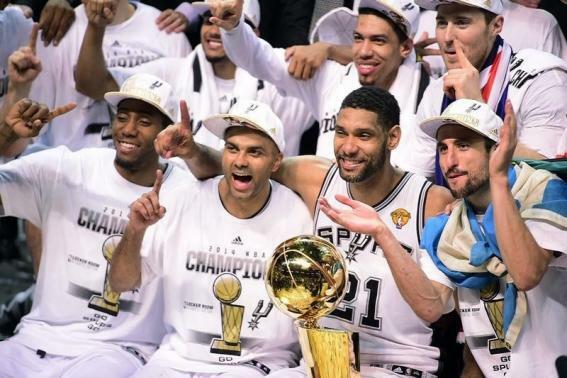 The San Antonio Spurs deserved to win this year’s NBA Finals. It wasn’t only because they should have won last year but got downed at the end by Ray Allen’s last second 3-pointer in Game 6 and Tim Duncan’s missed layups in Game 7. It wasn’t just because Duncan, Tony Parker, Manu Ginobli, and Kawhi Leonard seem like good guys and the Heat players just don’t (James’ ego, Wade’s flops, Chalmers’ bad attitude). 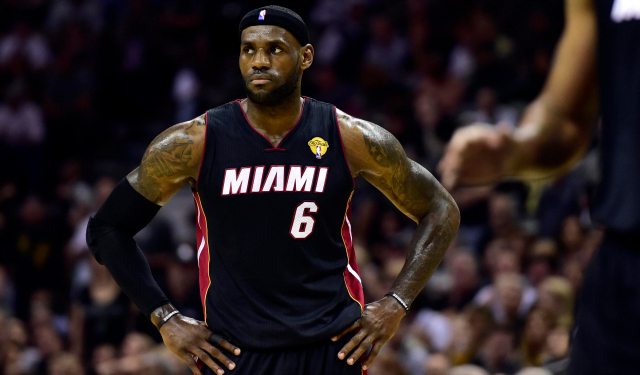 It wasn’t because they have no flashy superstars while the Heat have three. No, the Spurs deserved to win for the same reason that any team that reaches this level of excellence deserves a championship: They do what it takes day in, day out and game in, game out to build a strong, cohesive unit. They listen to their coach and play within their roles. They are by far the best team in the NBA, and they have been for the last decade. A better team than the mid-2000s Lakers? Overall, up for debate. As a team, yes. When a team is not plagued by ego or selfishness, by divisiveness or disdain for discipline, the players become pieces of a greater whole that is harder to stop than a collection of great individuals. The Spurs players chose to adopt the roles we came to know them by in the beginning of the season. Patty Mills knew he would come off the bench, hit 3-pointers, and provide a spark on both ends of the floor. Boris Diaw knew he would be a passer always looking for his teammates and an occasional scorer. Kawhi Leonard knew that he would find the holes in opposing defenses and score more this year than he had before. Each of these players adopted his role from the start of the season with grace and humility, and the regular season became a big practice, a warm-up for the only games that matter: the playoffs. In this year’s playoffs, the Spurs dominated each of their opponents, winning their clinching games by a combined score of 439-372 and by an average of almost 17 points per win. When it mattered, the Spurs turned to their system rather than an individual player, to what they had practiced all year rather than a new strategy or overburdened star (ahem, King James). Four players on the spurs averaged over 10 points per game in the playoffs, but a more important statistic might be the eight players who averaged at least seven (6.9) points per game. The players in between 6.9 ppg and double figures included Danny Green, Boris Diaw, Thiago Splitter, and Patty Mills. These four role players were absolutely crucial to the Spurs postseason run, stepping up together or in different games and making up for any of the starters’ offdays. Danny Green had a thing for Game 2’s late in the playoffs. He hit seven 3-pointers for 21 points, carrying the team in a 112-77 routing of the Oklahoma City Thunder in Game 2 of the Western Conference Finals. And he shot 7-8 for 15 points in the crucial Game 2 against the Heat in the Finals. Similarly, Diaw and Mills stepped up at key moments in these playoffs. Diaw’s 6.2 points, 8.6 rebounds, and 5.8 assists per game in the Finals took pressure of Tim Duncan and the rest of the Spurs frontcourt. Mills gained confidence as the Finals progressed, scoring 14 and 17 points in the final two games and shooting an unreal 57% from 3-point range during the Finals. Add to these guys output the emerging star in Kawhi Leonard, who exploded for 29 points on 10-13 shooting in game 3, and veteran old-timers Tony Parker, Tim Duncan, and Manu Ginobli had all the help they needed to win another trophy. This man is not happy. But enough about stats. The beauty of the Spurs–and the reason that they have been able to win a league-leading 4th title in the last ten years–is in the flow of their half-court offense. It’s easier to understand by watching it rather than reading about it, but a typical Spurs paly in this postseason involved Parker passing to Ginobli who dribbled around his defender and hit Diaw on the baseline, who wrapped a pass around a helpless Heat defender to Duncan for a dunk. That, over and over and over again. They moved seamlessly, because they knew where to go. They finished shots, because they knew beforehand which shots they would be taking. They were the most prepared team, and for all of these reasons, the San Antonio Spurs deserve their NBA Championship.